I have chosen to leave half of my estate to the Sierra Club of BC Foundation and I would like to tell you why I am doing so. I teach ethics, including environmental ethics, to young adults. In the process of doing research for these courses and in teaching them, I have become persuaded that the most important ethical issue confronting my generation, and that of my students, is environmental degradation. In addition, I believe that I have another, and special, reason for giving to Sierra Club BC. As a British Columbian, I have had the privilege of spending my life in a particularly beautiful and unspoiled part of the world. Since this environment has enriched my life profoundly, I have a duty to try to preserve it for my students and others who will come after me. There can be no better way to do that then by leaving a bequest to a foundation that is dedicated to conserving this environment into the future. It would be very difficult for me to stand in front of my concerned students, and to try to instill hope in them, if I couldn’t tell them that I have taken some action to protect B.C.’s beautiful wilderness. 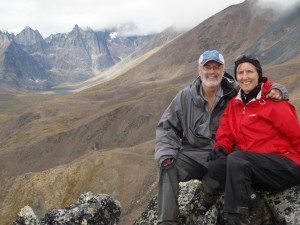 I believe that making a bequest to the Sierra Club of BC Foundation is one of the finest choices I have made in my life and I am very proud of having made it. My wife, Diane, and I plan to leave a substantial portion of our estate to environmental groups, especially Sierra Club BC. We have been passionate outdoors people most of our lives and want future generations to have the same opportunities we did. Yet what we see is wilderness loss, climate change, pollution and species extinctions. We believe that humans have a duty to protect nature. Possibly we are the last generation who can do this in a meaningful way. Sierra Club BC is B.C.’s oldest environmental charity. Since 1969, it has protected areas of ecological significance such as the Carmanah Valley, Clayoquot Sound and the Great Bear Rainforest. Today its 13,000 supporters continue that same work, but in the context of a climate-changing world. Diane and I have long admired Sierra Club BC, both for its science- and solutions-based advocacy and its effective grass-roots action. It cuts to the essence of environmental issues in a thoughtful manner and gets results. By supporting Sierra, we know that British Columbia will always have an advocate for nature. Remarkably, less than 3% of charitable giving currently goes to environmental causes. As longtime volunteers and supporters, Diane and I want to ensure Sierra BC can continue its work of protecting nature and getting people outside, now and forever. I encourage you to include the Sierra Club of BC Foundation in both your charitable giving and your will. Brian Pinch, a retired investment advisor, was one of the pioneers of socially responsible and environmental investing in Canada. He and his wife Diane live in Victoria BC. Simply notify us that you are remembering Sierra Club BC in your will or estate plans and you will automatically be enrolled in the Legacy Circle. By joining you will receive a bi-annual copy of the Sierra Report, and in some cases, updates from program staff. You will also be recognized and thanked ( if you want to be!) in our annual report.